What is Garcinia Cambogia that provides Hydroxycitric acid (“HCA”)? Garcinia Cambogia is a tropical plant native to Indonesia, India and other parts of Asia. The main ingredients of Garcinia Cambogia is HCA which is known for its appetite suppression including FAT BLOCKING CAPABILITIES. The HCA in Garcinia Cambogia inhibits the activity citric lyase. This enzyme is linked to carbohydrate metabolism. HCA may lower the blood levels of bad cholesterol and may increase burning of fat. HCA is growing in popularity in the weight loss industry and has been found to be safe for healthy adults over 12. This natural weight loss remedy has the potential to reduce hunger and food craving especially carbohydrates and sugar content foods. 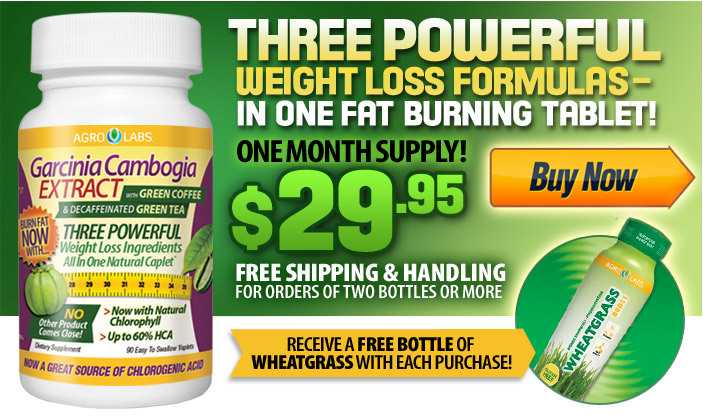 The combination of Garcinia Cambogia, Green Coffee Extract, decaffeinated Green Tea combined with Calcium and Chromium have been shown to help achieve improved weight loss results. Many Years ago, we set out on a mission to craft premium, all-natural supplements that not only taste great, but also promote our daily health. By combining our extensive knowledge of clinical sciences with our passion for wholesome nutrition, we are pleased to introduce the AgroLabs™ premium line of liquid nutritional supplements. AgroLabs™ Wheatgrass Boost™ is a gluten-free superfood energy shot that blends together nutrient-rich organic wheatgrass with powerful B vitamins and trace minerals to help our bodies stay naturally energized throughout the day. 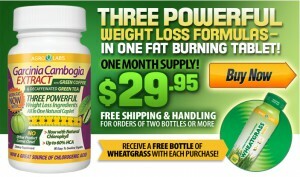 Go ahead, take a shot and discover the delicious benefits of AgroLabs™ Wheatgrass Boost™.